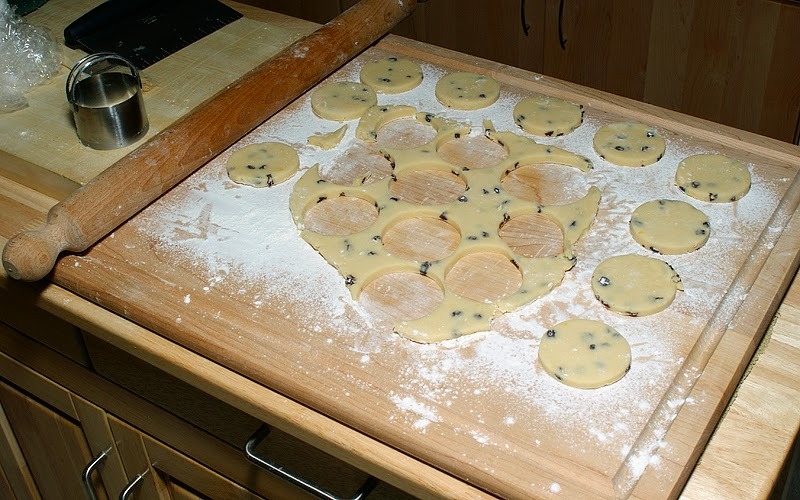 Pice Ar Y Maen (welsh Cakes) - just like mom makes. It does not have to be March 1st (St David's Day) to enjoy these traditional welsh cakes, they are great at any time of the year with a nice cup of strong cup of tea! 1. Cut the butter into small cubes and add to the flour in a large bowl, rub into the flour until there are no large lumps left. Add the dry ingredients, then the lightly beaten egg. Slowly add the milk and mix till you get a stiff paste (maybe add a little more milk). 2. Roll out until about 1cm thick, cut into rounds and bake on a griddle or in a frying pan over medium to low heat for 3 minutes on each side. (Test the temperature of the pan with 1 of the rounds first, they should be golden brown on each side but cooked through). 3. Place on a large plate and sprinkle with extra caster sugar. Best served warm with butter or more traditionally with a little honey.